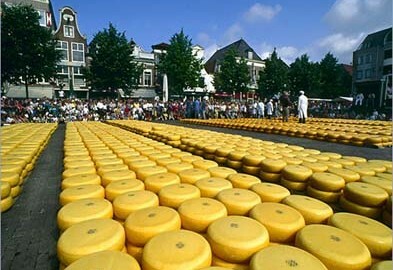 Alkmaar is above all Holland’s cheese town. During the season from the first Friday of April to the first Friday of September, a traditional cheese market is being held here on Friday mornings between 10 and 12.30. Alkmaar is historical with around 400 monuments. The Waag, dating back in its earliest form to the 14th century, the 16th century town-hall, Grote St. Laurens Church and the many courtyards, facades and canals give the town an ambience all of its own. There is a range of restaurants of various kinds, pavement cafés and coffee houses, as well as shops, theatres and museums. Amsterdam, the capital of the Netherlands, is one of the world’s finest and most interesting cities. It derives its specific character from numerous canals and historical monuments. 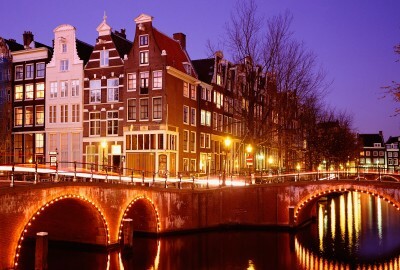 There is no denying that Amsterdam is one of Europe’s most beautiful, romantic, cultural and out there cities. With its canals, windmills, dikes picturesque countryside, museums, historical centers, scenery, shopping, dining, and entertainment. The name Delft is synonymous with porcelain, and this town of 85,000 is justifiably famous forthe blue-and-white pottery that Italian immigrant potters began making in the 1600s. The greatest attraction of Delft is the town itself, which is crammed with 17th and 18th Century houses, streets that overlook canals, magnificent public buildings, outdoor markets, and a surprising number of museums for a city that has less population than many American suburbs. 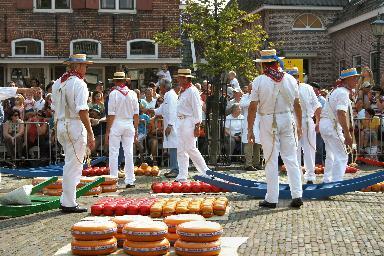 Edam is mostly associated with cheese. This is quite understandable since the popular round Edam cheeses first travelled from this town to all corners of the world many centuries ago. The traditional cheese market, which has been restored to its former glory and takes place every week during the high season. Edam is also a town with a rich history, extraordinary facades, squares, bridges, monumental buildings, convivial shopping streets and attractive outdoor cafés. 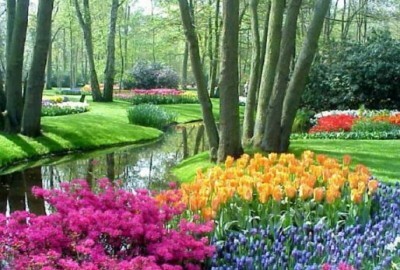 Nowhere else in the world are the flowers and colours of the spring as glorious as at Keukenhof. Here you can find endless inspiration while you relax in the beautiful surroundings of the park. Keukenhof offers you the opportunity to see millions of bulbs in flower, fantastic flower shows and the largest sculpture park in the Netherlands. Keukenhof is yearly open from March until May. 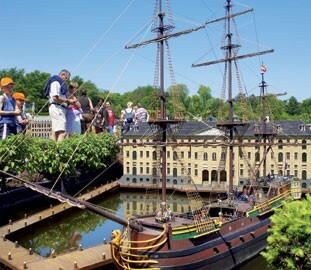 For more than 55 years, Madurodam has been the smallest city in the Netherlands. Canals, gabled houses and all kinds of other typical Dutch scenes. The miniature city offers you the highlights of the Netherlands on a scale 1:25. The Parliament buildings of The Hague, the canal houses of Amsterdam, the Alkmaar cheese market and little trees and gardens, all replicated in minute detail. Windmills turn, ships sail and modern trains are tracersing the city on the world’s largest miniature railway. 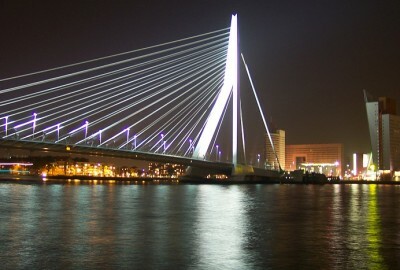 The city of Rotterdam is the second largest municipality in the Netherlands. Rotterdam is famous for its amazing natural beauty. Filled with all kinds of modern landmarks built following the Second World War, Rotterdam is an interesting city, with plenty to offer in the way of tourist attractions. One of Europe’s oldest and most historic zoological gardens is the most popular of the city’s tourist attractions and goes by the name of Blijdorp Zoo. Also on offer for tourists visiting Rotterdam are regular boat trips around the harbour, a rather splendid windmill within the Delfshaven, botanical attractions and panoramic views at the very top of the Euromast. Scheveningen is the perfect place to go. The harbour is buzzing with activity, while screeching seagulls hover around the fishing boats coming in. 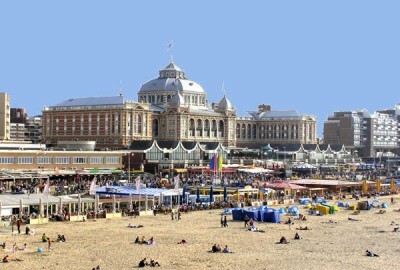 The beach and the dunes of Scheveningen have plenty to offer to sport enthusiasts. Especially for water sports, Scheveningen is the place to be. Scheveningen has much more to offer than the beach alone. A wide variety of attractions and museums make this seaside resort so inviting to young and old. 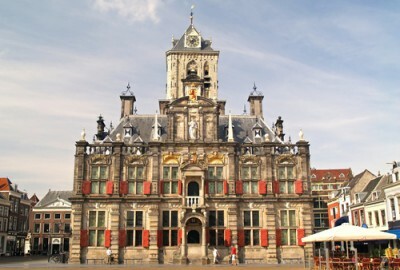 The Hague is currently Holland’s third-biggest city and better known to the Dutch as either Den Haag or ‘s-Gravenhage. Once the Dutch capital some 200 years ago, The Hague remains an important and vibrant city with a rather refined appearance, boasting many stately mansions, grand embassy buildings and tree-lined boulevards. Visitors to The Hague will find plenty of tourist attractions to enjoy during a stroll around the central streets and lengthy avenues. Landmarks and attractions worth looking out for around The Hague include the 15th-century Old Town Hall, the tree-lined Lange Voorhout Square, and the famous Binnenhof. 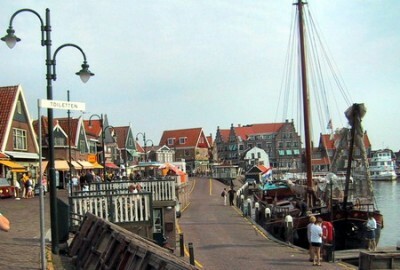 As a result of its completely insulated location, Volendam preserved its character for six centuries, also because of the tough vitality of the fishermen. The characteristic small houses, which together with the canals and the drawbridges form the most picturesque spots, present the visitor an atmosphere of geniality and romance. 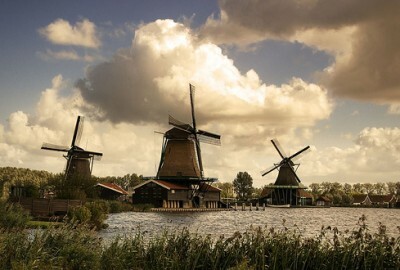 The Zaanse Schans is a fully inhabited, open-air conservation area and museum. Original buildings vividly depict Dutch life in the 17th and 18th centuries. The authentic houses, the historic shipyard, the clog-making demonstrations and, above all, the windmills, attract hundreds of thousands of visitors each year. Some 250 years ago, well over 800 windmills were cramped into this relatively small area. Not all museums on the site are open during the winter months. Our team of specialists can arrange different kinds of tours. Please feel free to send us your inquiry!